The Kovex-Computer Ltd. was founded in 1990. Our original business was office automation, which includes a full range of computing, but our company mainly dealt with the development of office software. Document and records management has always been in the focus of interest of the company, and this circle of interest expanded to the topic of managing records of managers. 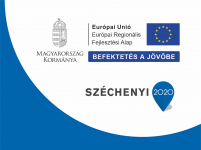 Our joint cooperation in research and development with the Faculty of Economic Sciences and Information Technology of Debrecen University dates back more than five years. The objective of the cooperation is to upload professional terminology into ontology. Our company now covers a single topic, a Web-based knowledge sharing.